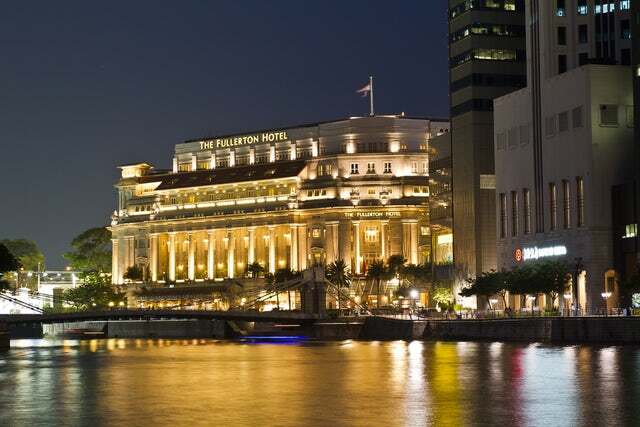 The Fullerton hotel epitomizes the European heritage that forms a good percentage of the Singaporean history. You will stay and dine where royalty and celebrities have stayed. The Fullerton hotel epitomizes the European heritage that forms a good percentage of the Singaporean history. You will stay and dine where royalty and celebrities have stayed. You will have some interesting stories to regale to your friends back in the West after a week at this majestic hotel. The hotel is located in the heart of Singapore, at Fullerton Square. It boasts luxuriously decorated and tastefully furnished accommodation units that are divided into rooms and suites. The rooms include; Postmaster, Quay, Heritage, Courtyard and Esplanade. The suites include; Collyer, Palladian, Loft, Fullerton, Governor and Presidential. Guests to the hotel can expect a variety of amenities and services that include; complimentary transfer services, fitness center, infinity pool, the Spa Artisan, Straits Club, the Fullerton Shop, Fullerton Cake Boutique, the Financial Center, Fullerton Heritage Gallery, Luxury Boutiques and Salon de Florere. For your dining needs, you are welcome to try Chinese cuisine at Jade Restaurant, gourmet international fare at the Town Restaurant, southern Italy cuisine at the Lighthouse Restaurant and Rooftop Bar, Japanese and Indian Curry at the Courtyard Restaurant and a host of fine cut meats and top shelf spirits and wines at the Post Bar. The hotel is strategically located in the heart of Singapore and thus an obvious meeting and events venue. The meeting and events space at the hotel include; several meeting rooms, The Straits Room, the Ballroom, and East Garden. The events coordinating team at the resort ensures that facilities such as audio visual equipment, internet, catering services etc. are well taken care of. This hotel is especially good for those on business visits or those that want to explore Singapore from a central location. Shoppers, sightseers, gourmet diners and fun loving tourists will never go wrong at this hotel. Impressed? Make a reservation today. You can also click here to see what others are saying about the hotel on Trip Advisor. Here's 0 comments for "Experience a Life of Luxury at Fullerton Hotel"